Do you want to slow down the aging of your brain? Do you want to activate your brain functions? 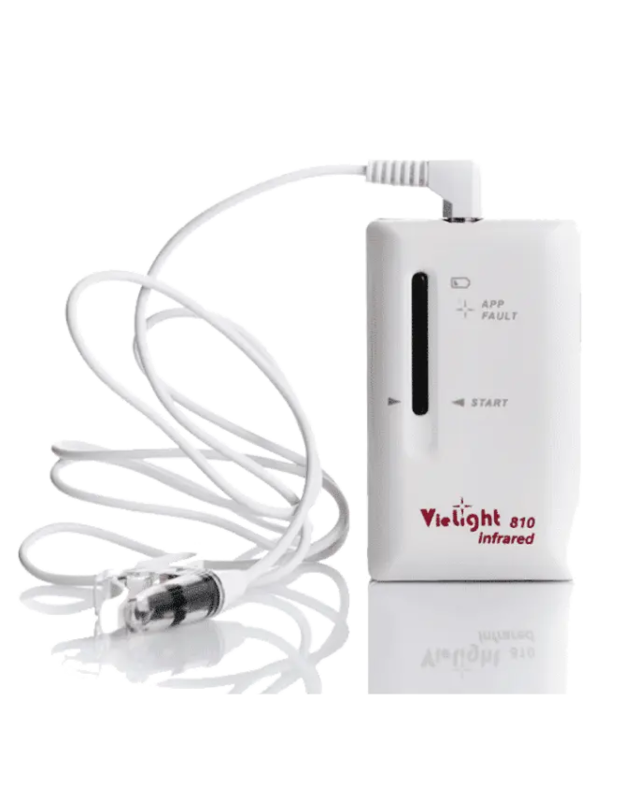 Vielight 810 is the right nasal phototherapy device for you. Practical and gentle, it acts on neurons through your nostril by stimulating the michotondria with a cold, micro-pulsed light. Offer a rejuvenation cure to your head! With its very practical nasal tip, Vielight 810 is a totally revolutionary brain photomodulation device that can be used directly at home. It sends infrared pulsed light directly to your brain to activate the heart of the michotondria and wake your neurons. Boost your brain function with light! Which LED color for photobiomodulation? It is the infrared led that is used in cerebral photobiomodulation. Indeed, the spectrum of this color is the one that allows the deepest penetration into the heart of the ventral brain cells and thus to reach the neurons and more precisely their heart in order to stimulate them. For which use should I use vielight intranasal light therapy? Equipped with a polycarbonate infrared diode, vielight 810 is a brain photomodulation device that, as its name suggests, acts on brain functions and more particularly stimulates neurons. It is widely used by people who want to regenerate their brain cells and slow down the aging of neurons. Totally painless, but devilishly effective, it produces effects very quickly. In fact, studies conducted before and after using vielight 810 show a significant improvement in brain function. This high-performance device is also widely acclaimed by people who want to stimulate their brains and use it to its full potential. It stimulates brain activity by gentle neural stimulation. Pulsed light is cold and painless and causes a drowsiness effect during the sessions. It is the symptom that light acts on your brain. To avoid damaging the applicator, remove the applicator from the nose by holding the clip and not by pulling the cable. To sanitize the nasal applicator, gently wipe with a cloth soaked in alcohol or hydrogen peroxide and use a UV disinfectant. Submerging the nasal applicator in a liquid may damage it. Do not cover the applicator with any other material during use.